The Japanese Children’s Day (こどもの日 Kodomo no Hi) is a National holiday in Japan which takes place annually on May 5. It is a day set aside to respect children’s personalities and to celebrate their happiness. It has been a day of celebration in Japan since ancient times. 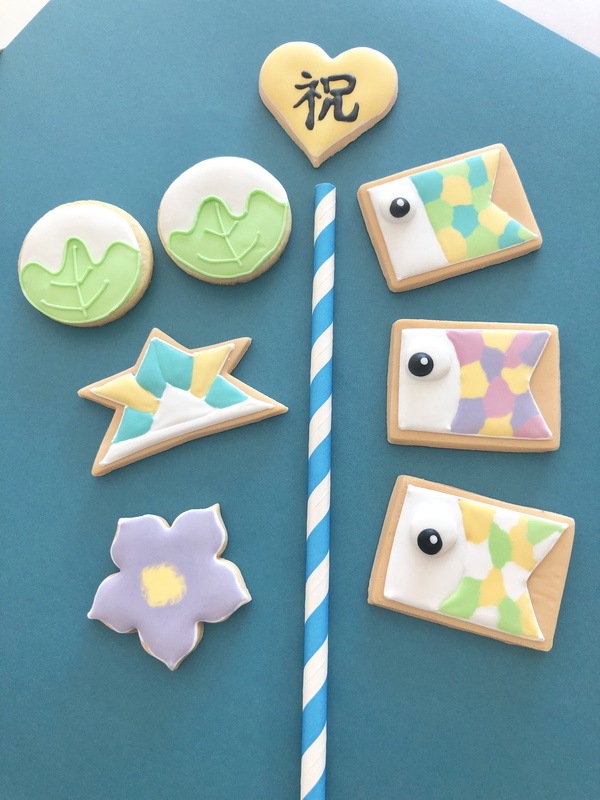 Join us as we make bespoke cookies in celebration of this festivity! Note: This class is conducted mainly in the Japanese Language. English Recipes (adapted from Japanese version with partial translation in English) will be provided for non-Japanese speaking attendees. For a full English class, please enquire with us at info@alchemist.sg but kindly note that we will require at least 4 attendees to start a class. Thank you for your interest and kind understanding. Use simple techniques such as how to paint, how to clean the surface, how to draw patterns, so you can design it as you like. ① Lidded Tupperwares or containers to bring the cookies home (14 cm × 17 cm) If this size is not available, it is okay to divide. ※ We are encouraging students to bring their own items for takeaways as an initiative of our CSR program towards a more sustainable environment. Takeaway boxes will still be available for your purchase on that day, just in case you had accidentally forgotten… These comes at S$1 per box. ② Carrier bag (with gusset) big enough to contain your cookie container. ⑤ Outerwear such as cardigans, scarves or shawl as the studio may get slightly cold.